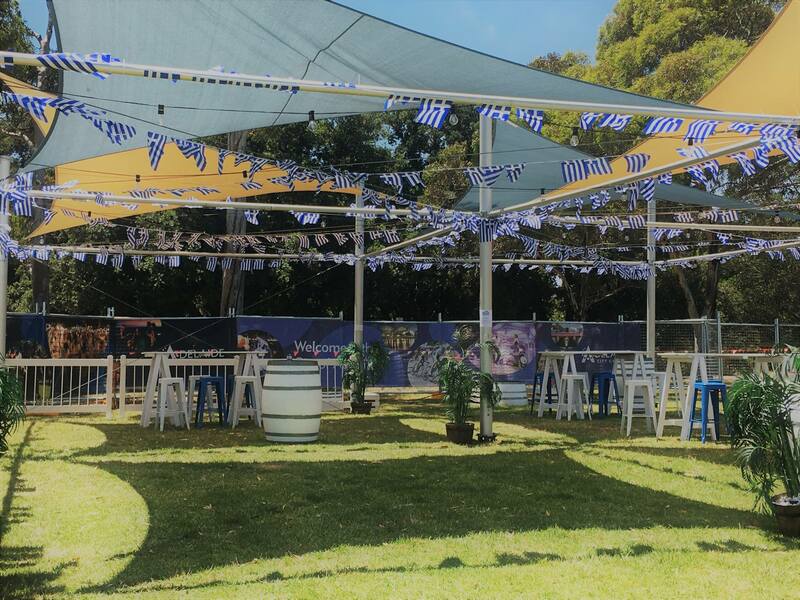 As one of Australia’s largest and most respected Event Hire companies Patti’s Hire have long been the “go to” people for event organisers, local councils, corporates and entertainment venues. Our new Shade Sail Hire division provides temporary shade sails which are an efficient and cost effective solution for providing shade to large areas without restricting visibility. Our shade sails are also perfect for outdoor bar areas and food courts at festivals and concerts. They are also a great solution for providing undercover display areas for machinery, vehicles and boats. Our shade sails are free standing, fully engineered certified structures. Each sail measures 6m X 6m with a minimum 4 sail structures required to ensure structural stability as per the manufacturer’s engineering requirements. Our shade sails are available in 4 colours; Charcoal, Beige, Blue and Green. Patti’s Hire also provide decorative fencing, PA Systems, Staging, Tables-Chairs and a host of other products. Our team of shade sail experts will deliver, erect and pick up the shade sails at your location / venue Australia wide. Call us for an obligation free quote on 1300 359 663 or contact us online.